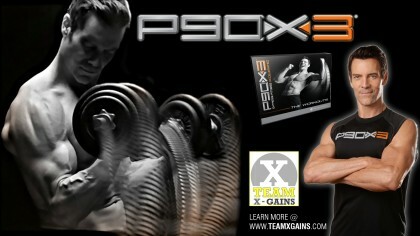 P90X2 - EXTREME RESULTS WITH EXTREME WORKOUTS Lose Your Balance. Revolutionize Your Results! Train off-balance to build the body of an athlete. P90X revolutionized fitness. Now, P90X2 will change the way you work out…forever. P90X2 delivers the kind of results pro athletes insist on. Not by making you work harder…but by helping you work smarter. With a breakthrough in applied sports science called Muscle Integration. You’ll engage all of your muscles with every move, delivering the same kind of training pro-athletes pay thousands of dollars for. So what’s the key? Instability. Instead of working one muscle group at a time, with P90X2, you’ll do resistance moves on one foot, a ball, or some other unstable platform.